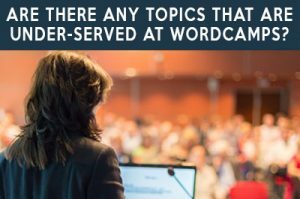 Podcast E089: Are there any topics that are under-served at WordCamps? Kyle: Added hops and oak chips to my fermenting dark sour. Adam: Back home after a great few days in Ohio with you! // Have yet to buy a new domain… so close though! // my client won re-election! WordPress Contributors Propose Shorter, Time-based Release Cycles: monthly!